Corporate Fun Day With Logitech Ltd.
Today Team Challenge Company met with Logitech in the scenic area of Erskine for their 50th anniversary family fun day. On arriving, it was rainy, but that didn't stop anybody! Everyone quickly found that the Giant Slide and Bouncy Castle were even more fun in the rain with all their slipping and sliding providing great laughs. The weather soon cleared up, some people came and had a kick about in the Human Table Football inflatable, and it wasn't long before everybody had a go on all the activities available. Along with all the inflatables, there was some incredible BBQ food available for everybody to enjoy. The homemade beef burgers and pulled pork went down a treat, followed by the childhood favourite, the ice cream van arrived to provide everybody with some refreshing treats! As the afternoon progressed, the sun began to shine, and we kicked off with our first competition on the Human Table Football. First match was between Waneeta United and Rangers, with Waneeta United winning at 5-4. Second match, Logitech Red and Logitech Blue, even Claire got stuck in! Unfortunately, she picked the wrong team, because Logitech Blue beat Red by 5-3. The final match was Red vs Blue, classic team names, and Blue beat Red once again by 5-3. Everybody had a great time getting stuck right into these competitions, and the winners walked away triumphant with a shiny new medal round their necks. Tug of War came next, with 3 rounds and Team 1 winning every time! Team 2 tried to blame their losses on the uneven ground, but the final match saw the teams switch places, and we proved once and for all that Team 1 deserved their victory! As the day drew to a close, it was time to announce the winners of the raffle. Everybody took shelter under the marquee as the last bit of rain arrived, and the winners got to enjoy their prizes under the shelter. 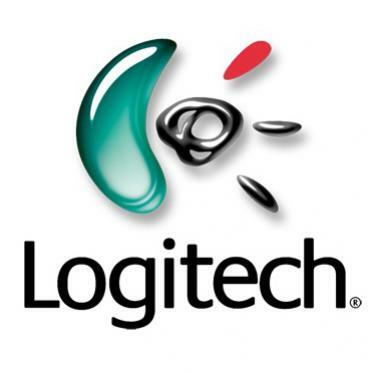 All in all, the day was a great success, and we'd like to congratulate Logitech on reaching their 50th anniversary. Thank you to Claire, Steve, and Alan and the rest of the organisation team for making this event such a success. We hope to see you again soon!